I am after recommendations for a book to continue my sourdough journey. The book I use today, with good success, is 'Brilliant Bread' by James Morton. Having now made all of the sourdough recipes multiple times, I'm keen for a book with more recipes to try out. In particular I'm after a book with lots of recipes using a similar fairly simple method to Morton - feed your 100% hydration starter, leave to double and then add ~200g to the bread recipe. I'm less keen on books whose main methods seem to involve multiple pre-ferments/ making a starter then a small bit of dough then the main bread recipe etc (apologies for not knowing the right terminology here! ), just for practical reasons of fitting baking into my life although I'm sure they are more delicious/ authentic etc! Any suggestions gratefully received, I'm finding it hard to work out which of the many books are best without being able to look through them in detail. Hi Alice. I’m not sure if the book meets your criteria or not, but it is a definite favorite on this forum. The book is entitled, “Bread, A baker’s book of techniques and recipes” by Jeffrey Hamelman. For many years he was the head baker at King Arthur Flour. Tartine No. 3 seems to fit the bill. 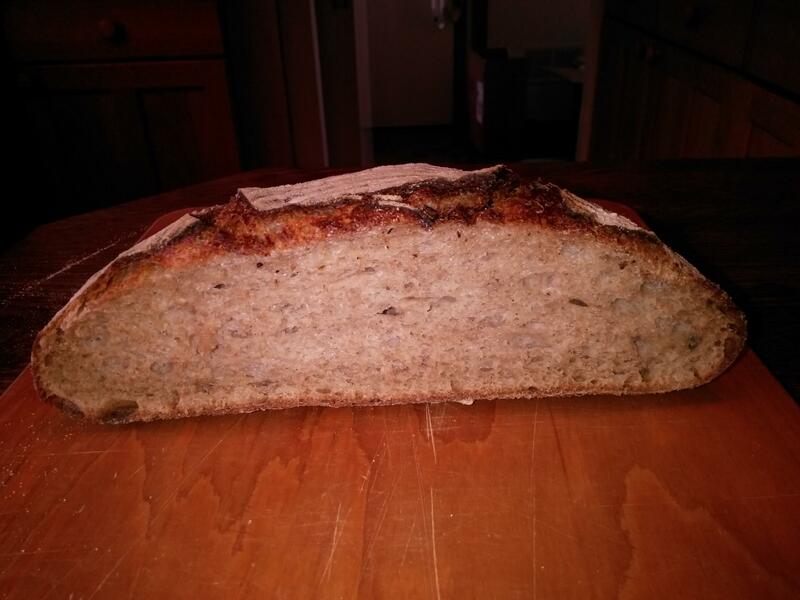 Lots of bread recipes using a wide variety of inclusions and grains. I couldn't agree with Alan more... Right now you want a certain kind of book in a while you'll want more. Hamelman's Bread fits that bill and then some. If I had only one bread book it would be that one. His scope is large, his instructions meticulous and his recipes are just wonderful. don't have the Tartine book so can't comment on that. "Bread" is a wonderful book. Haven't made a recipe from that book which I didn't like or didn't work. There are many wonderful books out there but if you were to have one which is consistently good and varied then "Bread" would be my choice. The only issue I can think of with the book Bread is the way it ilist the weights of the ingredients. For the home baker Jeff shows weights in n ounces not grams. It is an easy conversion, but it takes a little time. Alice depending on how serious you are about baking will depend on how you like the book. If you are interested in learning to bake at an intermediate level or above I can be definitive and say, “by all means go with this book”. Ken Forkish's Flour Water Salt Yeast is worth considering. He provides plenty of widely enjoyed SD formulae and some with added yeast. But if you decide to bake from FWSY, make sure to ask this forum about caveats to Forkish's methods, especially regarding (1) quantity of starter to grow up for a bake (he's inexplicably wasteful), and (2) overnight fermentations (anything above refrigerator temp can run away from you, but apparently not Mr. Forkish). And +1 for Tartine 3 if you are looking for inspiration regarding add-ins (e.g., porridge breads). imho, every modern SD baker should have one of Roberston's beautiful books on the shelf and in the repertoire. Just comment about Tartine 3. Feel free to cut back on the water. I went through a stage where nothing worked for me because the hydration was too high. Once I cut back to 75% hydration, it was much better. Oh and prepare for a lot of flipping back and forth as he has his method at the beginning of the book and the recipes are without the method. Fantastic ideas for loaves though. My favourite is still Flour Water Salt Yeast although it has it’s downfalls too. Levain builds are ridiculously large and his times don’t work unless you have a 70F kitchen. Mutant makes another great suggestion. The Baker’s Apprentice by Peter Reinhardt is another favorite of mine. Both IMO opinion are equally good. i am using Forkish right now and as mentioned I am seeing the times being too long in my warmer kitchen. The breads are good though and the steps are clear. I have learned so much from Hamelman that I can apply to all recipes. I like to watch his dough handling videos also. Have you thought of trawling websites such as The Weekend Bakery and The Perfect Loaf for additional recipes as a diversion before deciding upon your next purchase? Each has some extra-special, uncomplicated recipes worth trying. An aside, my starter was based on Morton's simple instruction that commenced with "[m]ix equal quantities of strong white flour and water by weight and add a handful of raisins ...." It worked like a dream, and today Firebolt has mutated into a variant of NMNF and resides in the cool comfort of our fridge, spawning many happy and contended loaves of bread. ... or paths that you might be taking. One path leads to exploring numerous interesting new recipes, the other to making your small number of favourites the best they can be - or to finding them, if you don't have real favourites yet. The favourites route needs a book with brilliant insights, or at least new information. The lots-of-new-recipes route needs a book where an army of testers have made sure the recipes all meet a high standard. Hamelman is my absolute favorite for a comprehensive but easy to follow baking book. It's well written, filled with great recipes, has a great rye section, the recipes are clearly written, and it's suitable for beginners through advanced bakers. My other favorite is The Rye Baker. I liked but didn't love rye, but Hamelman's and Ginsberg's one-two punch has made me a lover. Tartine and Tartine III are very instructive, but know that the execution is advanced. There will be failures. But meticulous beginners have been known to knock it out of the park on the first pitch, too. Not a fan of FWSY. I find his directions unnecessarily complex. I have similar complaints about Reinhart, but he does have a lot of interesting books. Not a well known book, but I saw The Cheese Board cookbook at City Lights bookstore in SF recently and was dazzled by it. This bakery is insanely good. I second Bread, as a second book. However, I have an additional recommendation: Baking Artisan Bread, by Ciril Hitz as a first book (even if you already own one). About eight years ago I decided I'd improve my bread-making skills, even though I was already a reasonably good home baker. For the first two or three years I concentrated on baking sourdough breads, eventually I became a reasonably good sourdough home baker. Meanwhile, my wife took over our bread-making machine and began baking our everyday white and whole wheat sandwich breads, as well as pies, cakes, muffins, and biscuits. I continued to irregularly bake sticky-buns, and cookies, but weekly, without fail, I produced three, or more, sourdough loafs: white flour sourdoughs, whole wheat sourdough, and occasionally rye flour sourdoughs. Furthermore, I converted many usually commercial yeast recipes to sourdough recipes: for example, bagels, baguettes, and biscuits. With biscuits I really struggled, with many failures, to make sourdough biscuits fluffy and light as baking powder biscuits. I came close, but no cigar. My sourdough baguettes, while quite good, never satisfied my memories of arm-long baguettes consumed in France in my US Navy days. All these efforts were dutifully entered--prose and photos--in my TheFreshLoaf blog. My wife, tired of all things sourdoughs, suggested I returned to using commercial yeast for some of my bakings. I did, beginning with baguettes, followed by bagels, and ultimately followed by new things: Challah and Brioche for example. Which brings me back to Ciril Hitz' book. It only contains ten recipes; none of the ten are sourdoughs. Why, in heaven's name would I buy such a book? My answer: because it represents the vast majority of home-baking in the world. 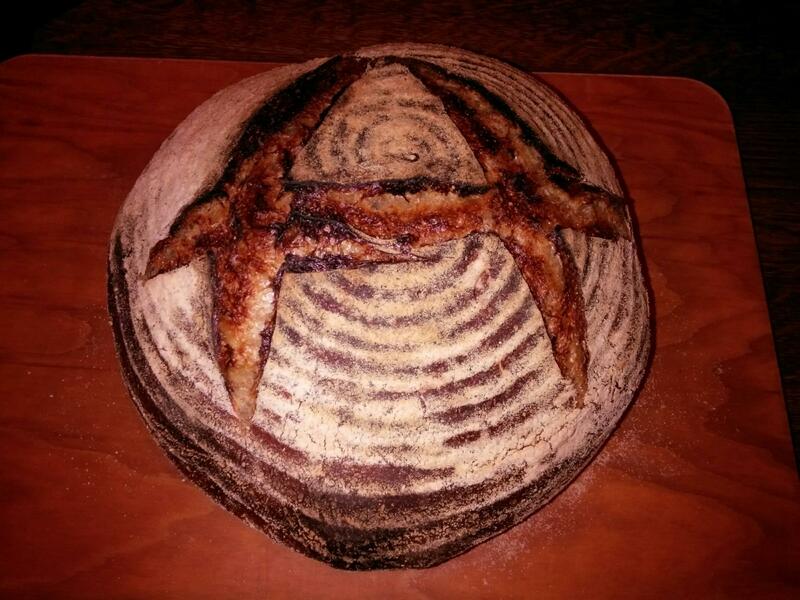 Sourdough is history. IDY and double-acting baking powder is now. And our pallets react favorably to the flavors they accompany. The ten recipes: PAIN de MIE, CHALLAH, CIABATTA, BAGUETTE, PANE FRANCESE, BAGEL, BRIOCHE, PIZZA, CROISSANT. For each, Author and teacher Hitz--at the time this book was published he was the Department Chair for the International Baking and Pastry Institute at Johnson & Wales University in Rhode Island--has listed Ingredients in grams, ounces, volume, and Bakers' %. Preferments and final dough as well. Mis en Place and techniques are meticulously detailed, and understandingly described. Out-of-the ordinary ingredients, e.g. diastatic malt, functions and contributions are highlighted and explained. Shapings--both priimary and alternatives--are described and photographed extensively. Additionally, not often found in other baking texts, variations in shape and presentations are provided for each recipe. The above by far only touches the book's main themes. There are many more surprises, most of them edible, in this book. A personal favorite; Baking Timelines charts the minutes, hours and days (1,2 or 3) required of each recipe--both active times and dough-resting times. I've not found the equivalent in any other baking book beyond the usual "Knead for about ten minutes", or "bake for 20 mins, or until the crust is browned" advice. "Bread" taught me most of what I know about baking sourdoughs, and the science of baking. I struggled occasionally with the text, and the paucity of illustrations. and Hitz's "Baking Artisan Bread" taught me valuable techniques and, the joys of modern commercial yeasts. If you are familiar with James Morton I wondered whether you are in Europe or indeed UK. I have a number of the books others have recommended but they are all US authors. Bread is certainly good, almost an encyclopedia , with lots of information and a big range of recipes. But it does have a lot with a series of steps which you might find not to your current taste. I would suggest two other books from European authors / bakers. The first is Vanessa Kimbell's The Sourdough School which has about 30 recipes many of which have additional ingredients. She uses her master method for most loaves, so it is mainly changes to the ingredients to make a wide range of breads. I personally found the book rather confusing in its layout. Some of her recipes are available on the Bakery Bits website. The second book is Sourdough by Lugg and Fjeld. This is more to my liking, They use one very straightforward method and a range of different flours. I am currently baking their Light Rye loaf, so far it is looking great. Their bread features overnight cold fermentation and quite high hydration but I have not found that to be a problem when working with the dough. In many ways this is a basic book with just 15 recipes, but the bread is lovely! A US author that I have liked is Emilie Raffa and her book is suitable for the inexperienced baker, lots of different recipes, ingredients listed in grams, Artisan Sourdough made simple. Alice, i will agree with the above that Bread is an excellent introduction into bread baking. On the other hand, I have searched in vain for a good overall introduction to sourdough, and have not found such a book. I , like Filo, am not a fan of FSWY, I found the instructions confusing, the starter builds incredibly wasteful, and to me, too confining - as I recall, he wanted you to knead by hand in a particular fashion, use a certain style of container, etc. I have not read Vanessa Kimbell's book, but have heard good things. I have looked in vain for a book that described the different benefits and drawbacks of using different hydration starters , how the temperature could be manipulated during refreshments to alter the taste, and the impact of different innoculation rates of starter. BTW, while I understand David's take on commercial yeast, I have read, and my experience is in line, that sourdough loaves last much longer before going stale. I have no problem making a loaf and still enjoying its flavor a week to 10 days later. Loaves that I made with just commercial yeast developed mold much quicker. Thanks all for your very helpful comments and suggestions, lots to investigate and I get the feeling I will be buying more than one book! I am indeed based in the UK so thanks for the insights from that perspective. The Light Rye recipe that I mentioned turned out well. Hi Alice, James Morton’s Brilliant Bread is my most used bread book too, I follow him on instagram and Twitter and he’s just finished writing another bread book just on Sourdough- I can’t find a release date but I will certainly be buying this. On a side note I find Dan Lepards bread books simple to follow and without many different building stages.